David Le/Gloucester Daily Times. 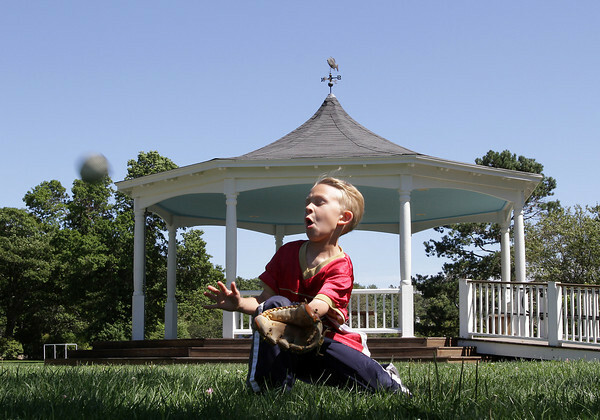 Nick Brunning, 6, of Manchester, winces as he prepares to catch a ball thrown by his father at Masconomo Park on Monday afternoon. 8/23/11.